My family's top bonding activity is eating in our favorite restaurant or sometimes, just hang-out in our favorite coffeeshop or milktea place. Luckily, our place is walking distance or a short ride away from the food-hubs such as Ortigas, Makati, and Wilson Street in San Juan. 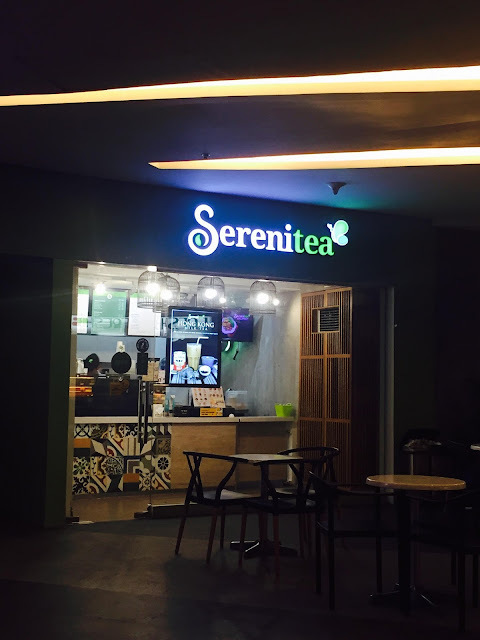 We've discovered Serenitea along Jose Abad Santos years ago when that street in San Juan only has a handful of restaurants and its the next best thing after a filling dinner. We also love the comfy interiors and the relaxing green and white color. It was one of the places that we look forward going to whenever we dine in J. Abad Santos area. We love ordering the Wintermelon and Hokkaido milktea and peppered corn. This year, Serenitea will mark its 10th year of bringing joy to milktea-lovers. From its very first branch in San Juan, Serenitea has now more than 30 branches nationwide and promises to open more location. The whole 2018 is an exciting year for Serenitea as it encourages its customers to share their own #SereniteaMoments. And up till December 19, 2018 (which is the actual 10th year celebration), Serenitea will surprise its customers with promos. So make sure to drink your favorite milktea at Serenitea and pair it with the yummy chows available. 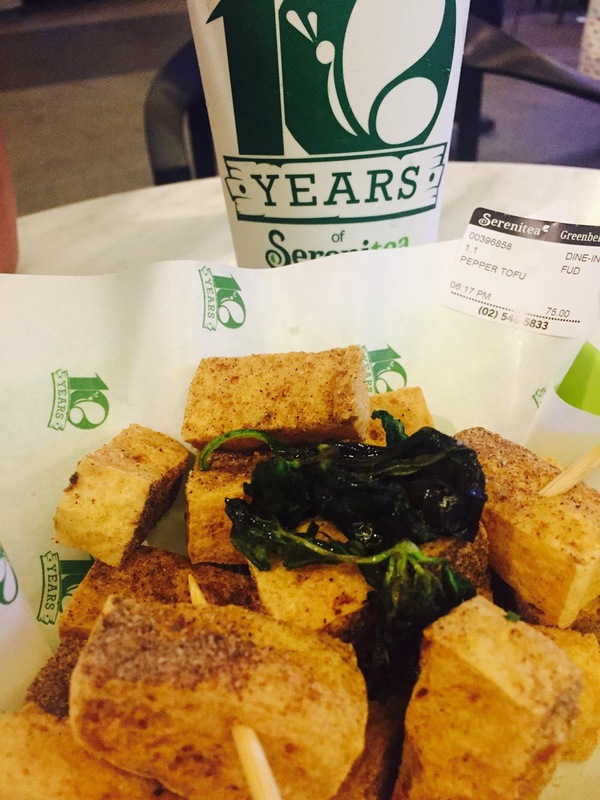 Currently, I am loving the Hong Kong milktea and peppered tofu.